Free speech has been a hot topic on Fordham’s campus for years now. Currently the United Student Government, along with student groups and organizations, is pushing the conversation forward in hopes of more concrete policy and consistent implementation that will protect any student’s ability to voice his or her opinions. As a private institution, Fordham isn’t obligated to uphold students’ First Amendment rights (freedoms of religion, speech, press, and assembly). Therefore, Fordham has the ability to create policies censoring expression on campus. From the use of the word “queer” to the pending production of Spring Awakening, student affairs has exercised its powers of censorship. However, upon closer examination of the policies that Fordham University has in place to guide decisions on censorship, there seems to be some ambiguity. acceptance whether he/she assents to or dissents from existing situations in the University or society.” Though this statement intends to suggest that the University respects the value of student voices in public discourse, the following policy lists explicit and ambiguous situations in which administration can deter public demonstration. While some of these restrictions—like on the employment of violence during demonstration—are reasonable and clear other restrictions are not. Interpretations of existing policy and the Jesuit mission along with the individual discretion of administrators in Student Affairs have long censored student speech. The grey space in these policies allows for censorship of some voices while others are left untouched. One example of the discrepancies in policy implementation is the invitation of Ann Coulter to speak at Fordham last fall. This incident did not follow University policy or procedure as it has historically been implemented by student affairs, for had it, it probably would not have been permitted. Father McShane issued a statement in response to Ann Coulter’s invitation that was meant to empower students to exercise their rights of free speech. 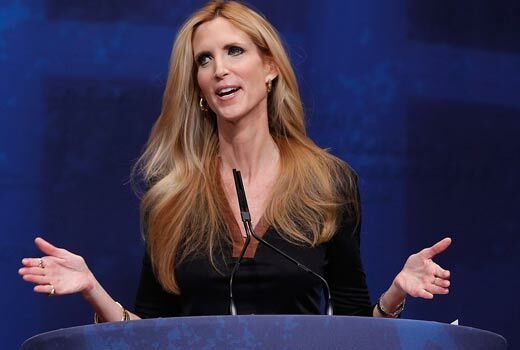 On November 11, 2012, he said: “To prohibit Ms. Coulter from speaking at Fordham would be to do greater violence to the academy, and to the Jesuit tradition of fearless and robust engagement. Preventing Ms. Coulter from speaking would counter one wrong with another. The old saw goes that the answer to bad speech is more speech. This is especially true at a university, and I fully expect our students, faculty, alumni, parents, and staff to voice their opposition, civilly, respectfully, and forcefully. Father McShane’s statement implies a faith in the University community to uphold its civic duty to speak out in public discourse. However, his statement seems to forget the barriers that restrict student speech, for whether students are censored by administration or by themselves, censorship still occurs. As the United Student Government and other student organizations push the conversation forward, they hope to redefine policy so that it becomes more concrete as to allow for fewer inconsistencies. They have been collecting testimonials from various student organizations concerning censorship done by both student affairs and the student groups themselves. These testimonials will be publically released in the coming days. USG and friends are aiming to construct policy recommendations that are reflective of and would benefit all students. If your student group would like to participate in the conversation and has yet to, please email usgrh@fordham.edu. [Editor’s note: for a sample testimony, see p. 8]. Remember, staying free means staying informed.